Revolution in Piston Mechanics: Cars, Infinite memory, Piston Robots and More! 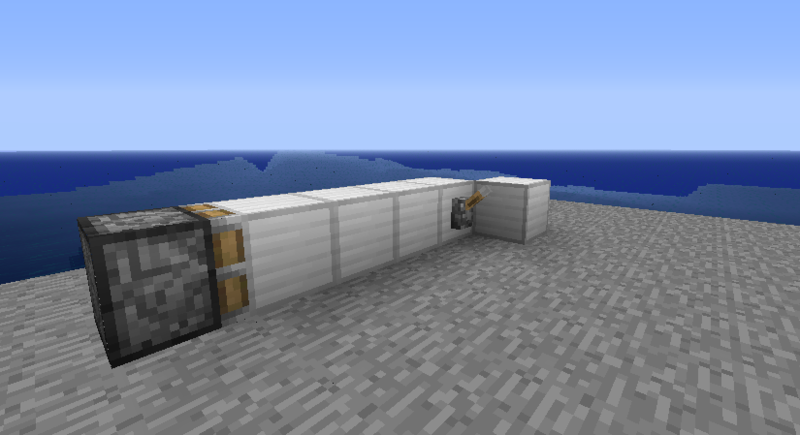 The idea behind this topic is to change piston mechanics, allowing some things that were before considered impossible in minecraft to become true. By this I mean: Free-floating, self contained flying machines, piston based cars and completely automated moving piston robots. Also, self building houses (but this time with beds and paintings on the walls), signs that pop out of the ground and more. What I mean here with "dependent blocks" are blocks that need another block to exist: torches, rails, levers and some tile entities, like paintings, signs and piston heads. When the parent block is broken or moved away, the dependent (i.e. child) block is immediately dropped - like when you break a block that is under a torch. 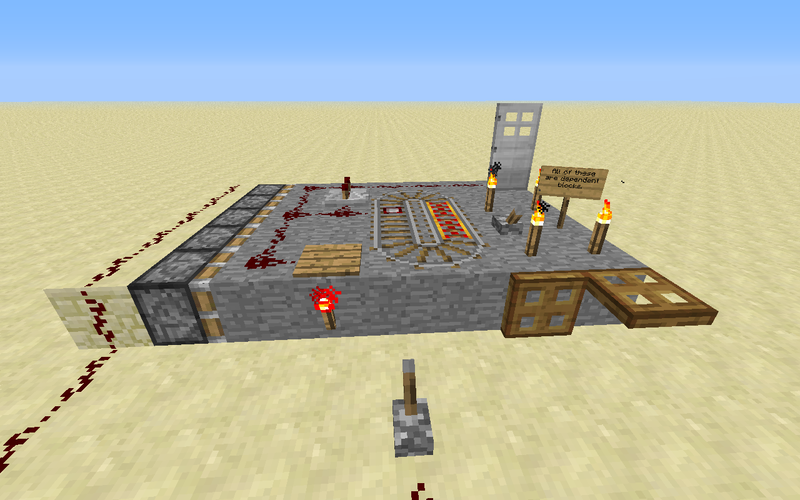 It should work on levers, torches and any other blocks attached to those stone blocks in front of the piston. There is one exception to this rule: when the child block is piston head, it will not break - instead, it will only push\break any blocks in front of it. This is so to allow extended pistons push other extended pistons without breaking in the process. But without it's parent block, the rail, which is floating on the air, simply breaks. 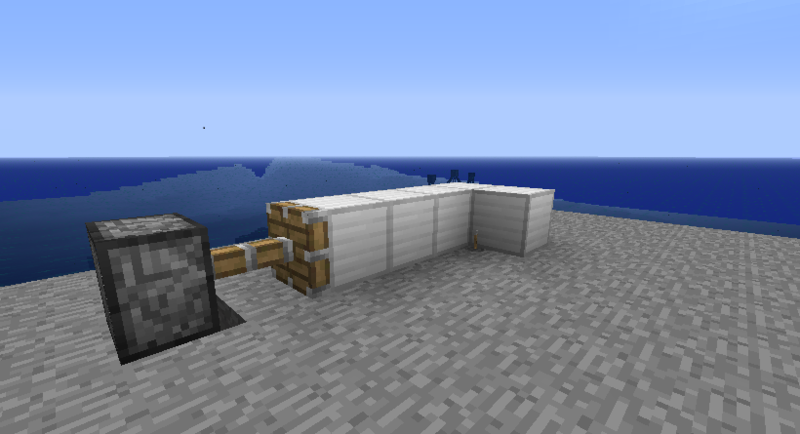 If moveable dependent blocks are allowed, the rail will attach to the stone block when the piston retracts, so the contraption will work as expected, while the stone blocks will behave exactly the same way. Ok, now getting on the fun part. How can this change make things like robots and cars in vanilla minecraft possible? When you flip the lever, the sticky piston extends. You then flip the lever off and the sticky will pull the normal piston near the torch, thus updating it. 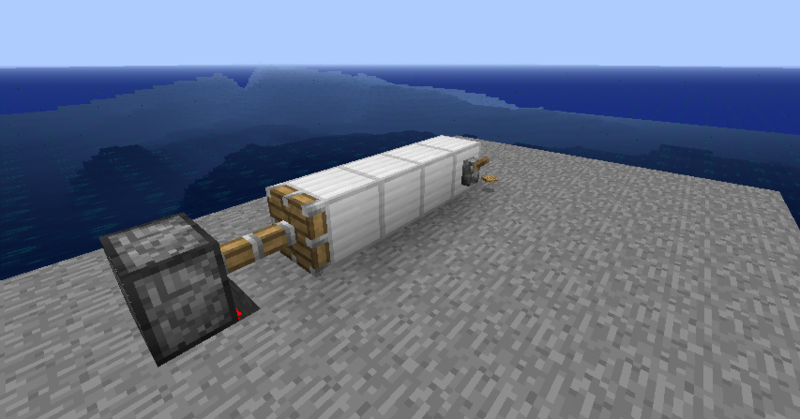 The normal piston gets powered by the torch and pushes the entire structure forwards, restarting the cycle. 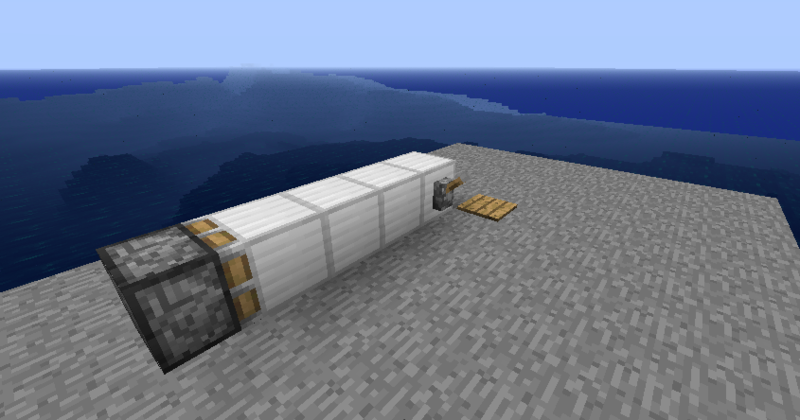 Not being powered anymore, the normal piston retracts. 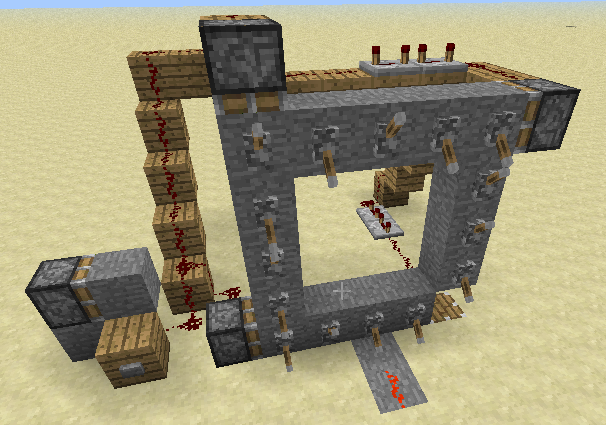 In an real machine, the lever would be an clocked redstone signal coming from some circuit. This would activate the "motors" that would move the entire machine. They could then be stacked side to side, or in a variety of shapes to create automated cars, planes and robots. One of the best thing about it is that a robot could be used to make infinitely extensible memory for redstone devices. Imagine two robots in a sandstone, superflat world. And a computer. One of the robots is the "signal carrier", and the other is the "tape head". The "tape head" is over the current byte of data, let's say byte 12, and the "signal carrier" is attached to the computer. 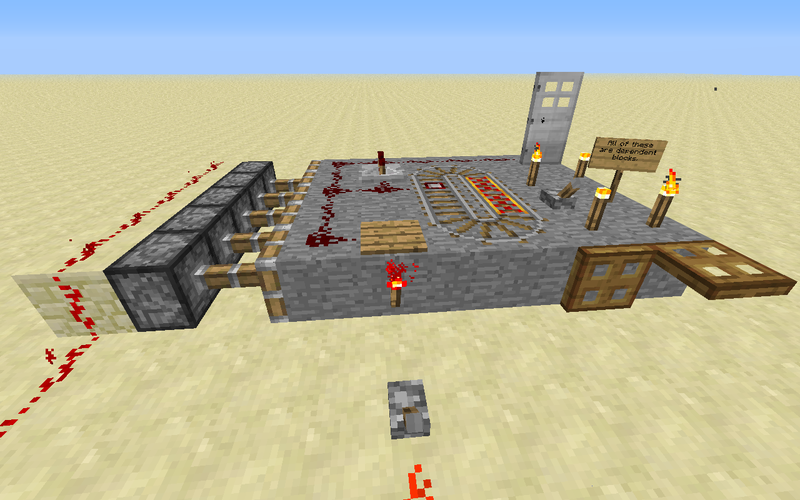 To increase the value stored on the current bit, the computer activates the "signal carrier", which decouples and goes forward until it detects a redstone signal coming in front of it (the "tape head", telling it is there). It then stops and sends the signal to increase the current value. Then, a sequence of downward pointing pistons move the sandstone under the "tape head" to encode the resulting byte, and the "signal carrier" returns to it's original position. To move the "tape head" one byte forward, a similar process should occur. The "signal carrier" takes the signal from the computer to the "tape head", which will then move further or nearer to the computer to access other bytes of data. That's kinda what every redstone update in minecraft is about today, so let's see what we can do with it. In RH's thread, I noticed that people were insistently requesting a "power block" in minecraft, one that could be pushed up and down (impossible with the minecart-over-rail method) - And this is also made possible, if you have an lever and a single block. 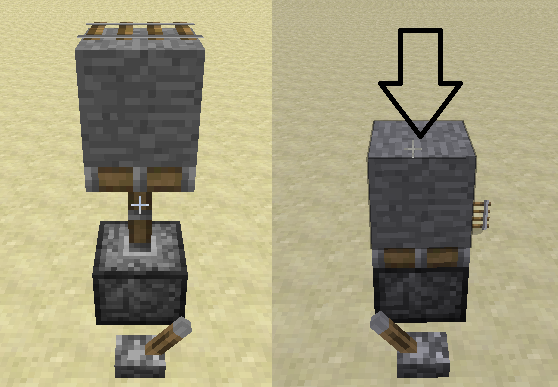 Placing the lever on any side of the block, you will have a toggleable power block, that you can move anywhere. In this design, the memory is encoded by blocks with levers on them. On lever means "1", off lever means "0". The blocks could be easily cycled through, would be readable without any repeaters and you could change the memory contents with the click of an mouse! Without mentioning it's a much cheaper method in survival world. I'm sure there are much more possibilities, principally with the moveable redstone torches, like "super compact BUD switches", "4-block XOR gate" and so on which will simplify redstoners' life, but unfortunately I'm not very good at designing those devices, so I will leave this to real redstone experts. So, that's it. I'm brazillian, so if you see any spelling errors or something like that, please tell me - I spent a LONG time refining this suggestion to get it to the way it's now. Also, if this article sounds confusing for you, feel free to ask anything - I will be following it daily. This is TL;DR but I guess that's whats needed to explain full implementation huh? ^^ Yes I thought you would think that when I put all of this nerd stuff in it. Maybe I will review it so it's easier to read - But you get the idea, don't you? Also, thanks - you're my first supporter here. Is there a way to change the title of the topic after it has been published? Great concept, love it, would be so useful. Click the "edit" button on your original post, and then click a button that says "Use Full Editor"
I didn't understand much in here, but it sounds like redstone will get even cooler, so, support! Thanks for the support! I really appreciate the fact that you liked it. Thanks! That's going to be very handy for me. Maybe I can change this topic's name to something more objective about what it is going to suggest - "Moveable Child Blocks" gives the idea that it's going to add new blocks to the game. This sounds amazing. Causes no errors or significant increase in lag that I can think of, and incredibly increases the potential that redstone has ingame, especially with a non-manual flying machine, something I worked on for a while but then gave up on, seeing the impossibility. If you want to see a great idea for Minecraft, click the banner! Over 400 supporters and counting! When you said child blocks I thought you meant... like wooden blocks for 3 year old lol. Really? That's what happens when you don't search before posting. I really didn't know. But thanks for the support. EDIT: lol wooden blocks for 3 year old... That's why I need to change the title of this topic FAST. Suggested before, but you've done it more detailed and better than anyone else. Support! After reading your post, I realized that this needed to be in the game. If you make a signature banner, or someone else makes one for you, then I will use it. Support! Full support. Though, I don't believe that your vehicle concept would work even if your suggestion was implemented. Wouldn't the piston on the back still need need a block update? 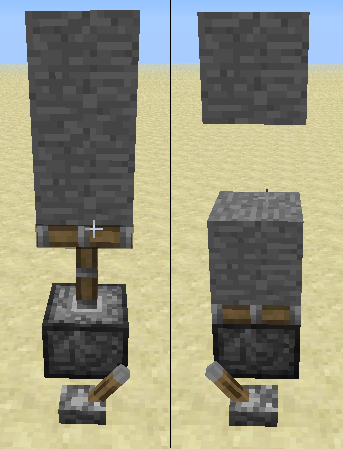 I thought that pistons powered on the diagonal need a block update, which is why the Bud-switch works. Only testing to know if this is gonna work. Sorry, but these images aren't loading in my browser, could you upload them again? That should work. 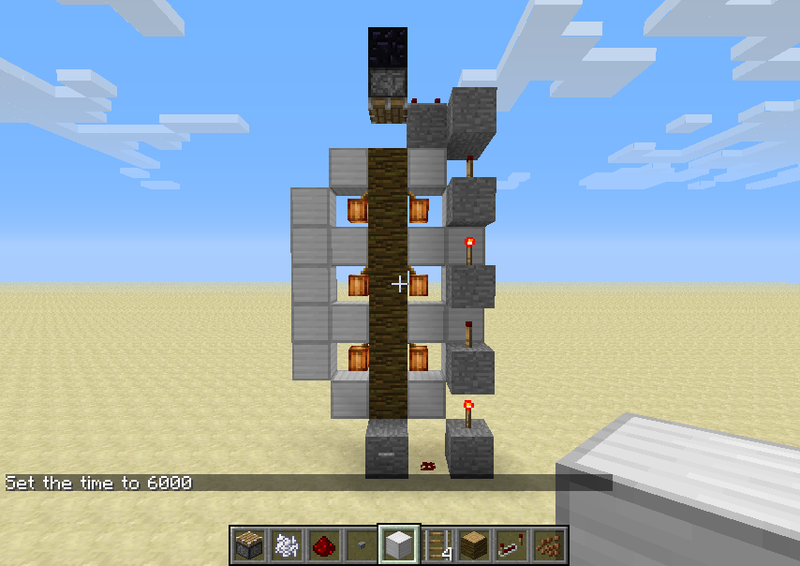 The memory would be encoded by normal dirt blocks, with a lever on for "1" and off for "0". The blocks could be easily cycled through, would be readable without any repeaters and you could change the memory contents with the click of an mouse! I think I should try making one and uploading it to the topic. Actually, I'm doing it right now! Thanks for the idea -- I will credit you in the description, ok?